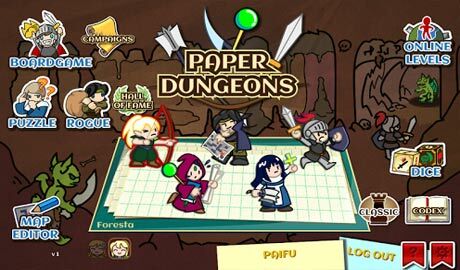 Paper Dungeons is a fantasy board-game boosted by online content. With the ability to create and share online your own levels, you are up for an infinite replay value! The game is visualized as a classic tabletop board-game with dice and tokens. 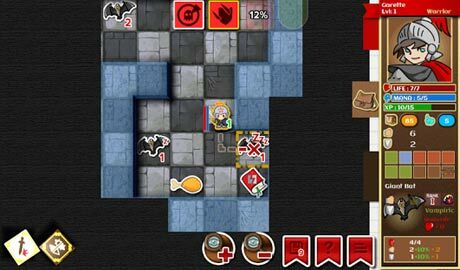 You can destroy walls and auto-heal as you uncover new dungeon tiles, which widens your choice of moves. This new mode allows you to play a fully-fledged adventure with up to 10 dungeons linked together by an introduction, dialogs between dungeons and a conclusion. Your character doesn’t reset and keeps his inventory between dungeons. Your character doesn’t reset at each new dungeon and keeps leveling up until you meet your demise. What will remain is your name in the Hall of Fame and more powerful sets of dice that you can use in your next Rogue run. Tricky levels with no place for luck. No fog of war: the dungeon’s layout (mobs and items) is shown. Monsters are static and won’t move towards you. Strategize all your moves to ensure victory. – A MAP EDITOR, to create your own dungeons and publish them online. – A CAMPAIGN EDITOR, to tell your own story and post it online. 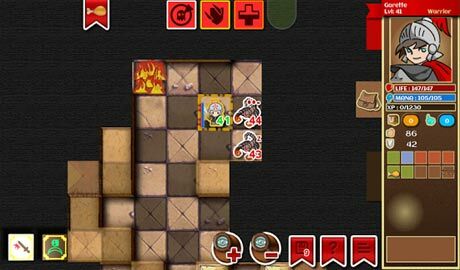 – ONLINE LEVELS feature, to play user’s created content in Adventure or Puzzle modes. – A CODEX, listing all elements of the game. – A VOID (higher) difficulty with alternate color for the monsters. – Supports high resolution with native 1080p graphics. – Big campaign of 125 Adventure levels and 31 Puzzle levels. – 5 character classes (warrior/archer/priest/mage/thief), male and female, each with a unique gameplay. – Dozens of different dice sets to improve your character. – More than 50 unique pieces of equipment, 30 scrolls and 8 potions. – 4 different starting zones, each with specific monsters and bosses, 3 sizes of dungeon and special boss stages.